Send our support team (support@entegral.net) an email requesting the activation of the Property24 feed for Namibia. We'll then get in contact with Property24 Namibia on your behalf to do the necessary setup. 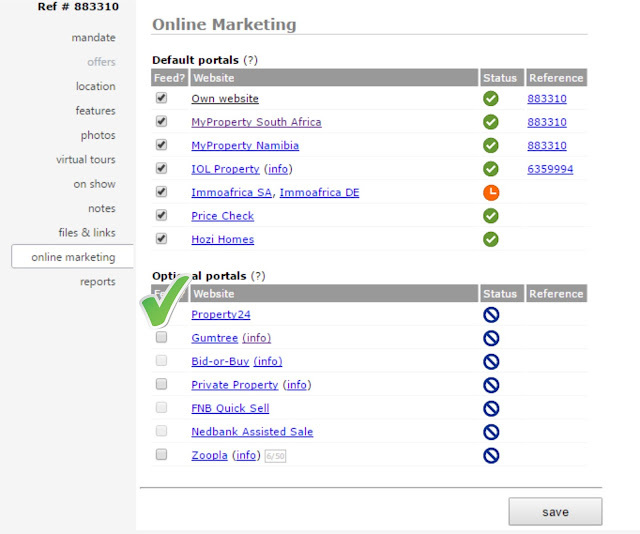 Once activated on Entegral's side, simply tick the "Property24" tick box when listing a property. 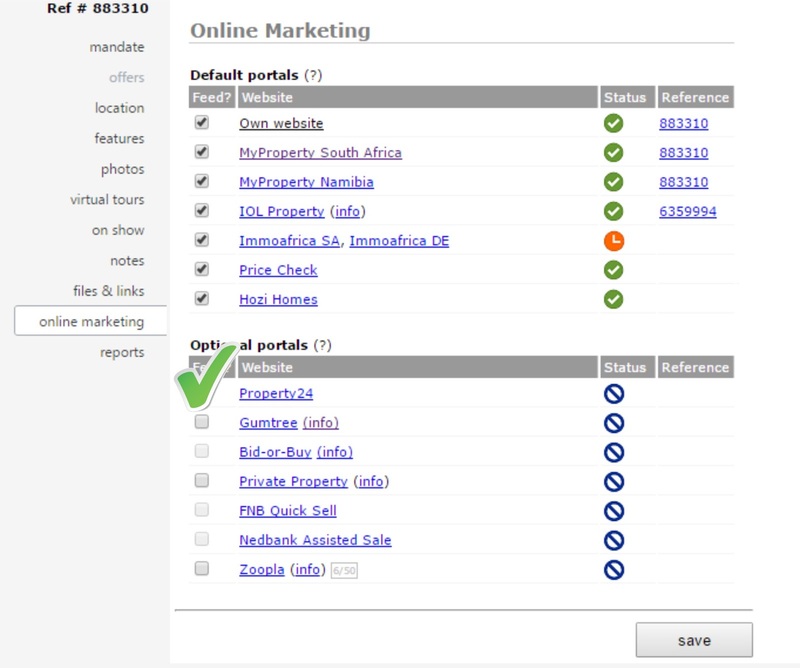 Your listing should display on the Property24 portal within one hour's time or less. A once off setup fee of N$499 payable to Entegral Technologies will apply. Once the feed has been set up and is active, we'll charge a monthly support fee for this interface of N$99 per month. 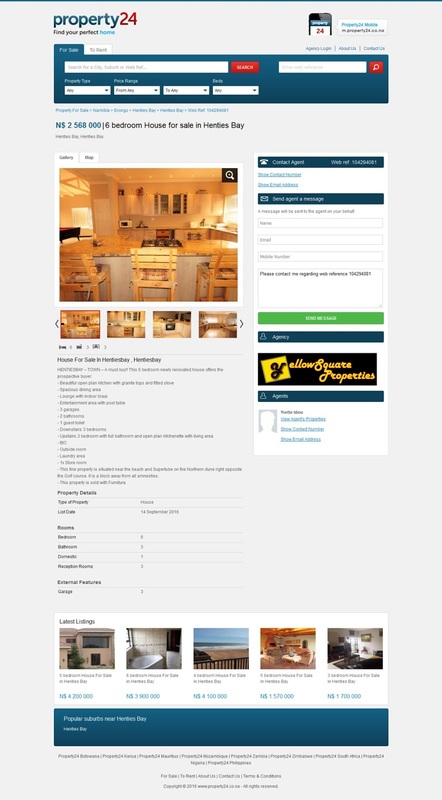 Namibian clients can also promote their listings on the UK's #1 property portal, Zoopla. Click to view full details of syndication to our UK partner portal.